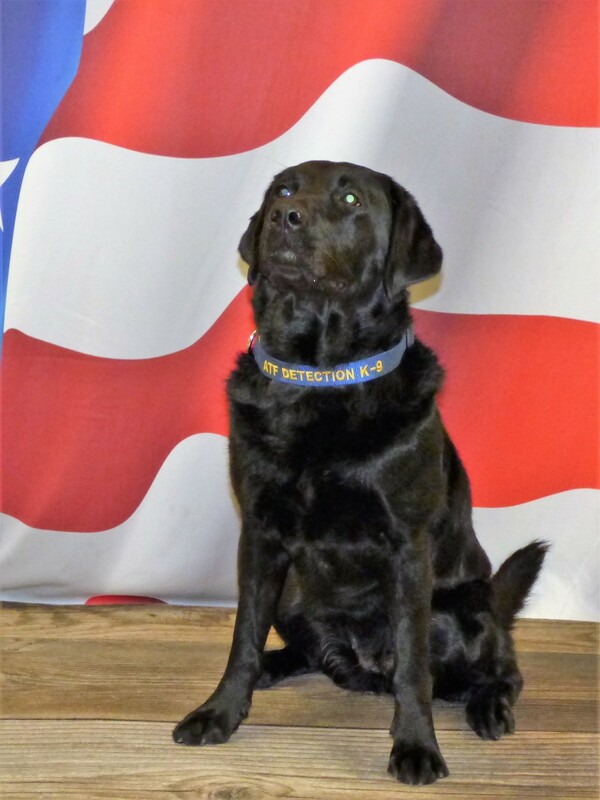 A Bowling Green Fire Department Fire Investigator has graduated from the ATF's Accelerant Detection Canine Handling School and is working with his canine partner, Millie. Fire Investigator Michael Cornwell with the Bowling Green Fire Department graduated this morning from the Bureau of Alcohol, Tobacco, Firearms and Explosives (ATF) Accelerant Detection Canine (ADC) Handling School in Virginia. Investigator Cornwell and his canine, Millie, just completed the six week school. Millie is a black Labrador Retriever. During the six week school, Investigator Cornwell and Millie learned to work together to identify evidence at fire scenes, resulting in a more accurate and credible detection resource than devices that are currently available. Cornwell was also instructed on how to keep Millie healthy and safe. Millie will live with Cornwell and will have to work to be fed, either through rigorous daily testing or while at an investigation.